Different name, different people. Dan Schaaf, who thinks wine should be affordable and approachable yet not cheap or ordinary, and Aaron Olson, who thinks wines should taste good, smell good and feel good, are the two "punx" behind this label. 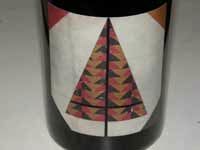 A Pinot Noir is offered from Elk Prairie Vineyard in Humboldt County. The wines are sold through the website store.